NEW WIND VANES. PLEASE NOTE THAT ECLECTIC ARE NOW MAKING A NEW STYLE WINDVANE AND IF YOU HAVE BROKEN "OLD" TYPE VANES YOU SHOULD CHANGE ALL 5 . THIS IS TO ENSURE THAT THERE IS NO VIBRATION DUE TO SLIGHTLY DIFFERENT WEIGHT OF THE NEW TYPE BLADES COMPARED TO THE OLD. 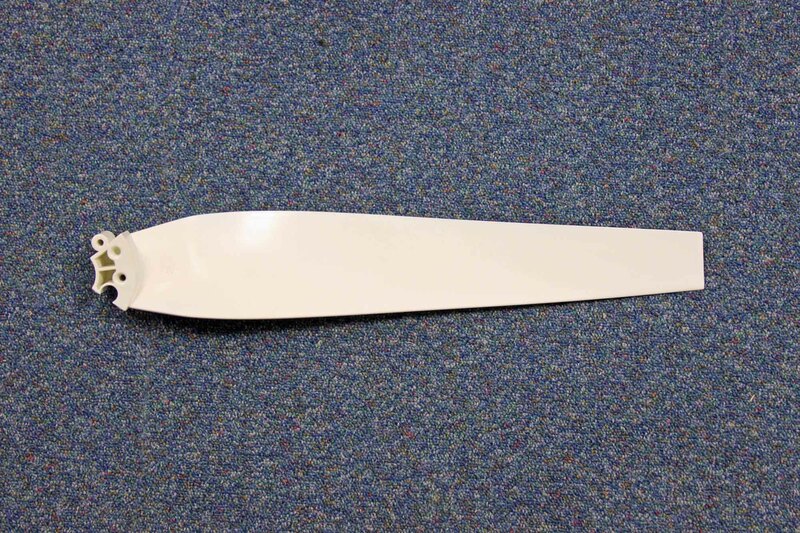 Spare turbine blade for either the 12V or 24V turbine. Easy to fit - worth carrying as a spare.